Jason is a Senior Director, Oracle Cloud Technology Foundations, for UK, Ireland and Israel. He is responsibility for Technology Sales Consulting and Business Development, with a specific focus on Oracle Cloud Infrastructure (IaaS), Cloud @ Customer, Database, Security and Manageability (PaaS). In his 21 year career, Jason has worked for Digital Equipment Corporation (DEC) PricewaterhouseCoopers (PwC), Atos Consulting, Deloitte LLP and Oracle Corporation. 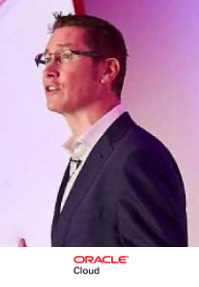 Jason is skilled at helping organisations’ understanding and justify their case for investment in technology and business change solutions; defining the business challenges, business/IT vision and architecting the right solutions to fit into the customer's environment and delivery priorities. Jason is an Oracle Enterprise Architect (OEA) Certified and is a Certified Information Systems Security Professional (CISSP).